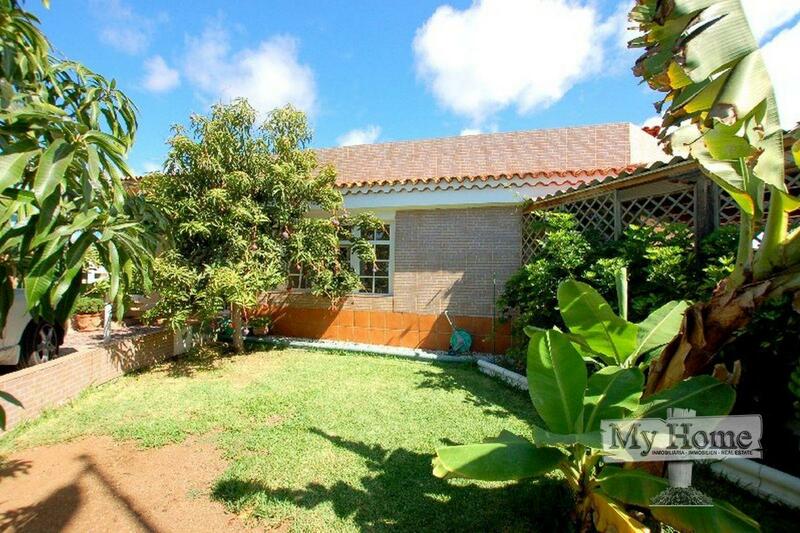 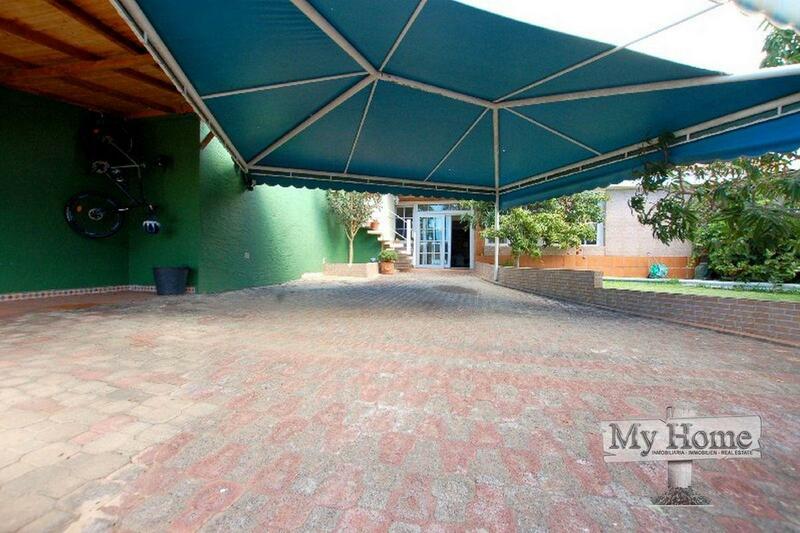 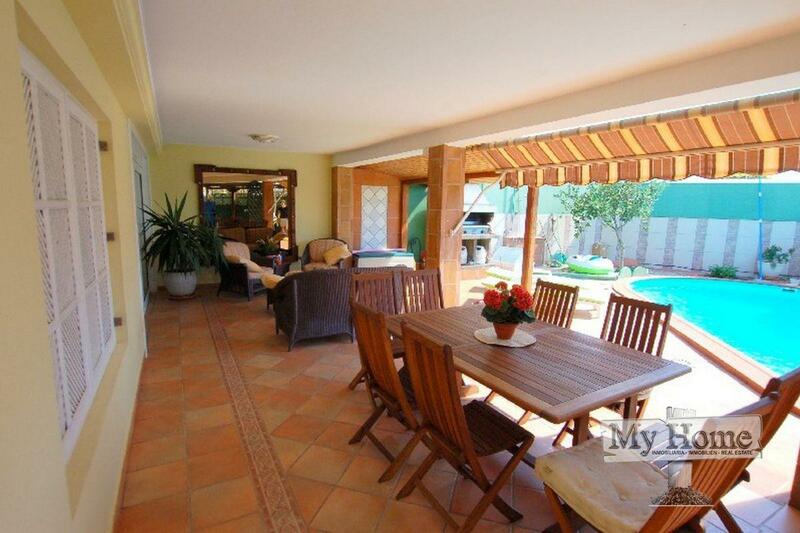 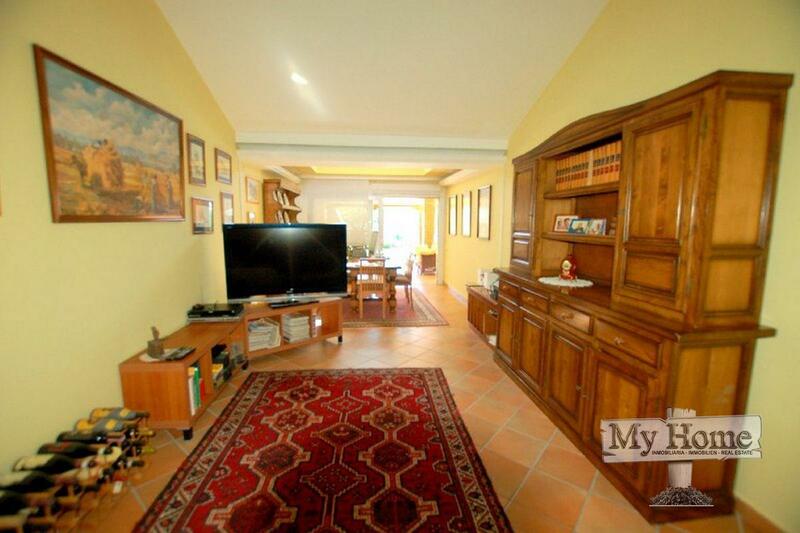 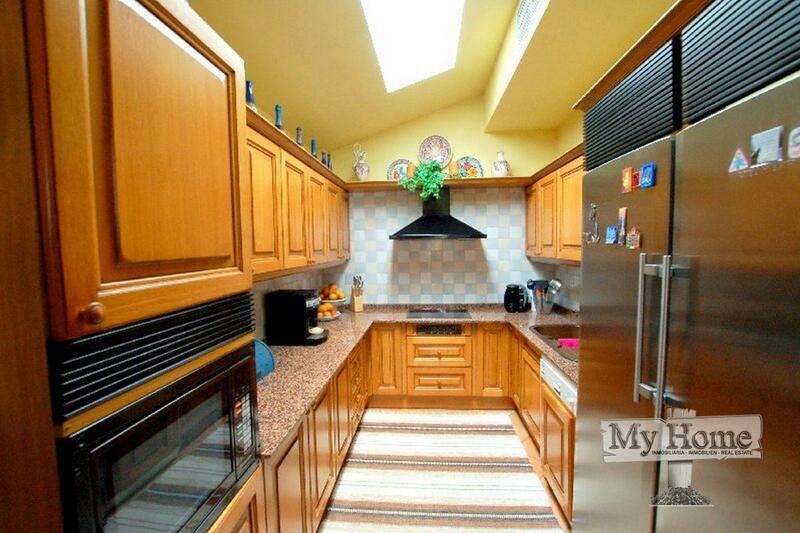 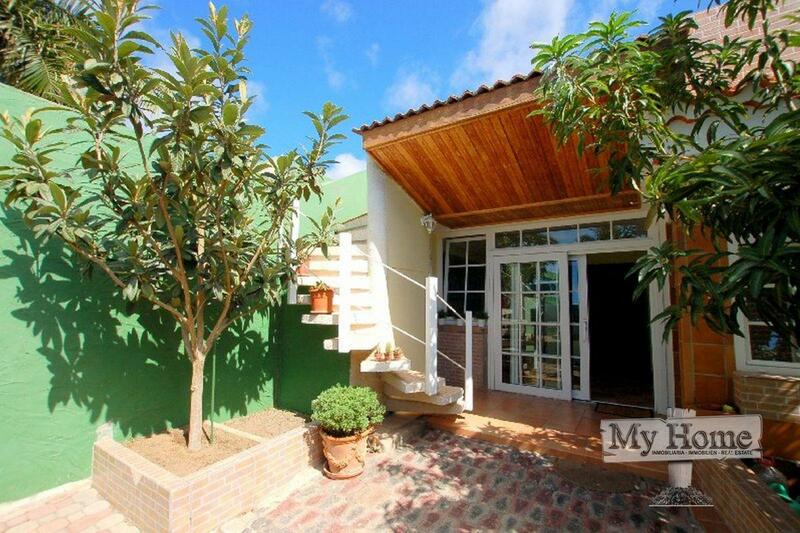 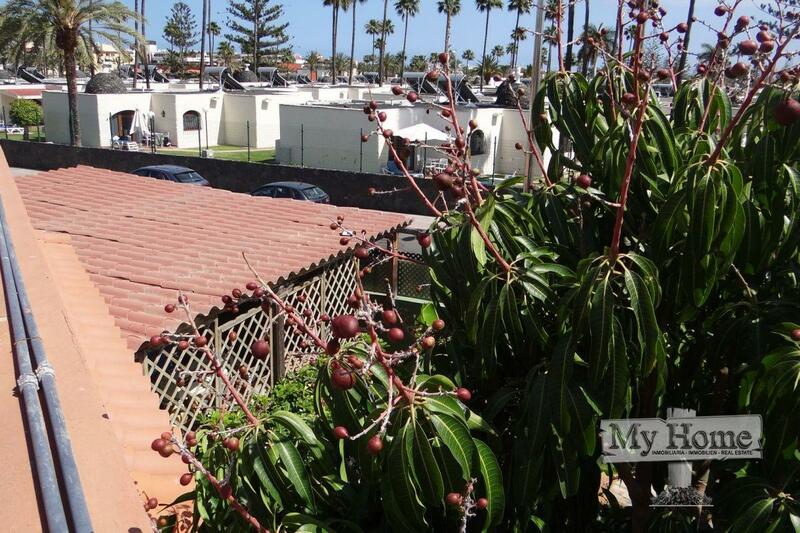 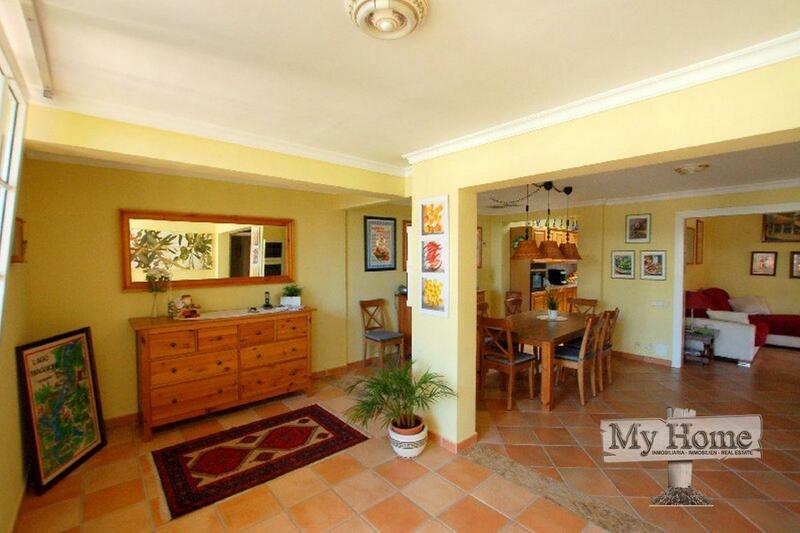 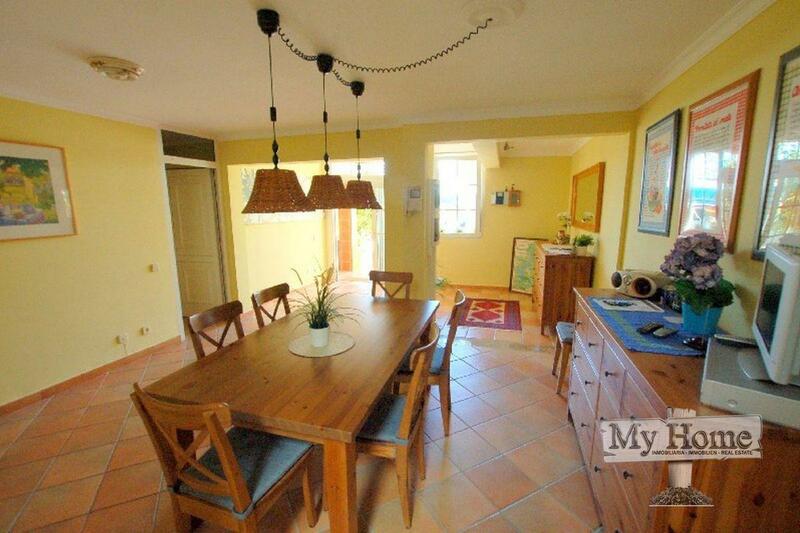 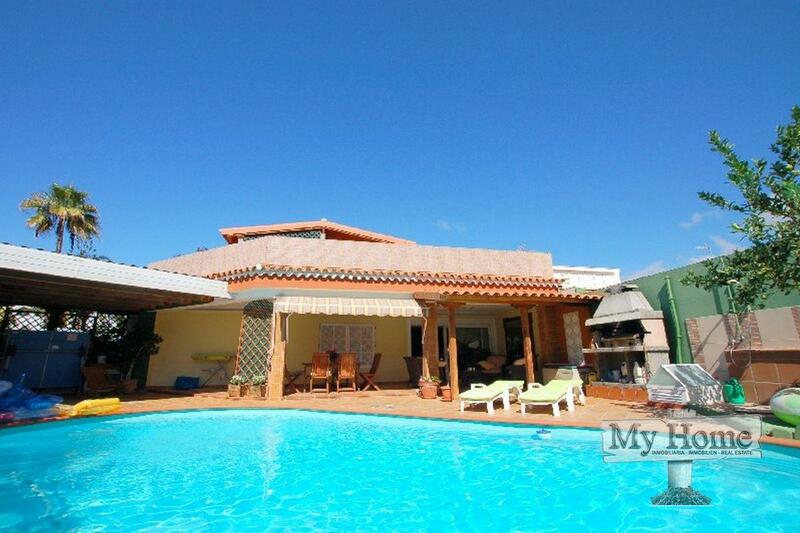 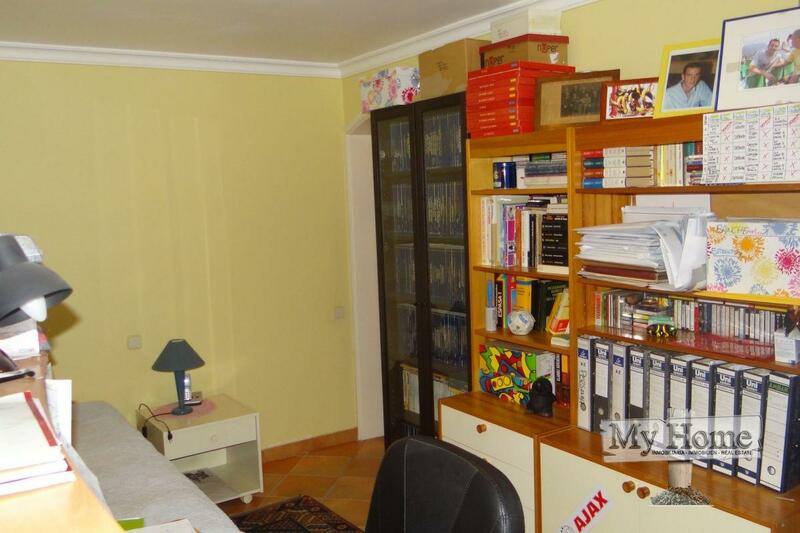 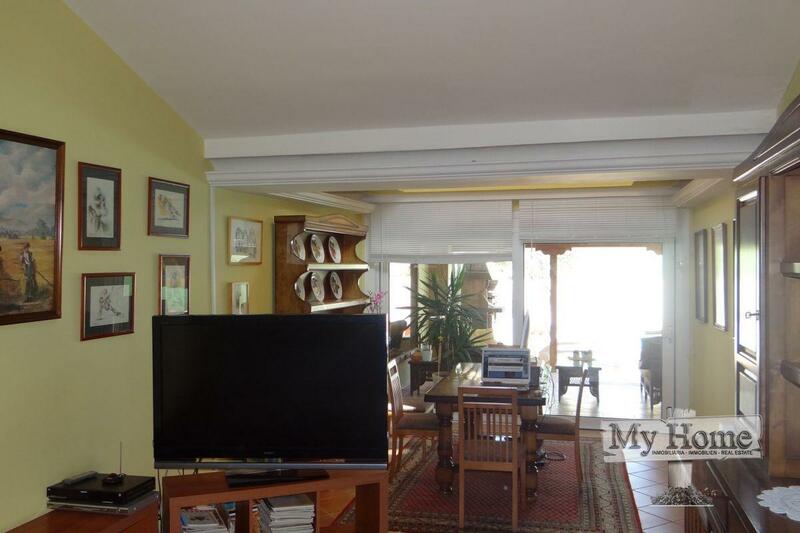 Spectacular bungalow on a plot of 500m² for sale in Playa del Ingles. 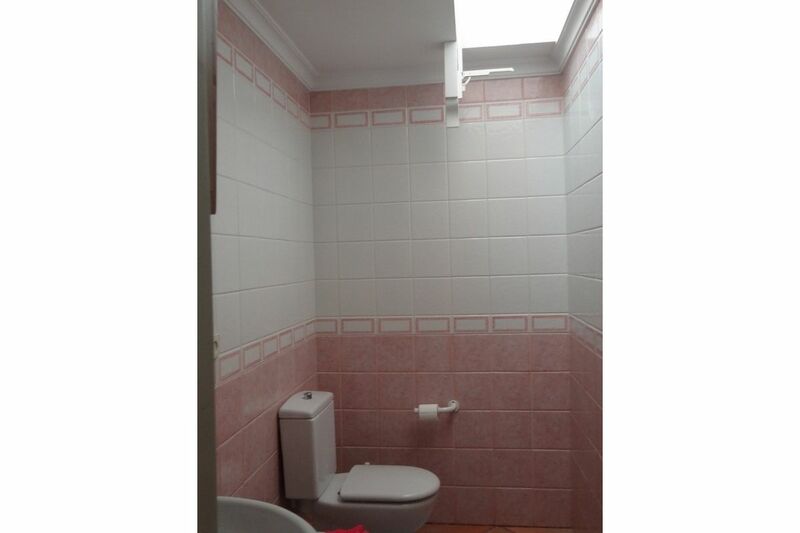 The property is spread over two floors. 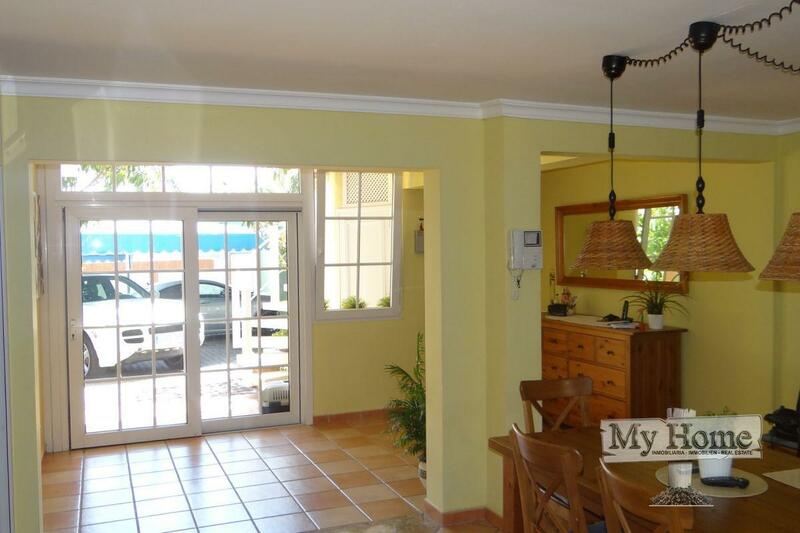 On the main floor is the living/dining room, kitchen, two bedrooms, two bathrooms and a WC. 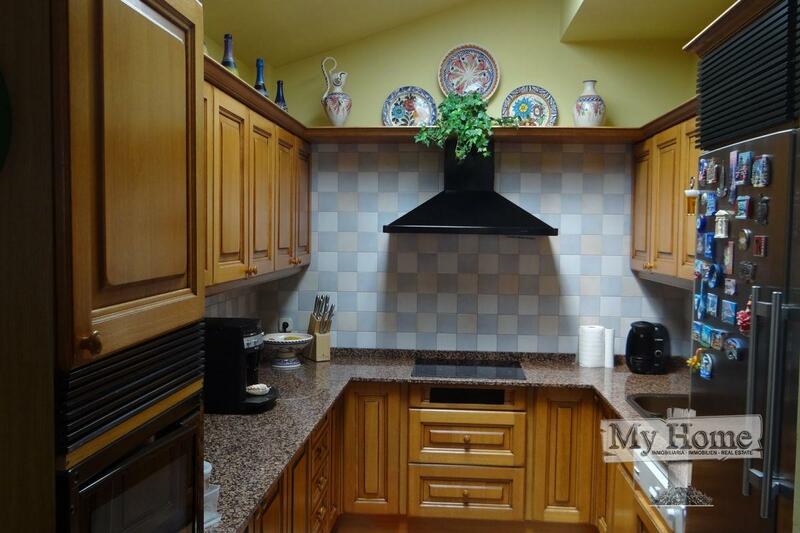 In the basement there are two bedrooms, two bathrooms and a storage room. 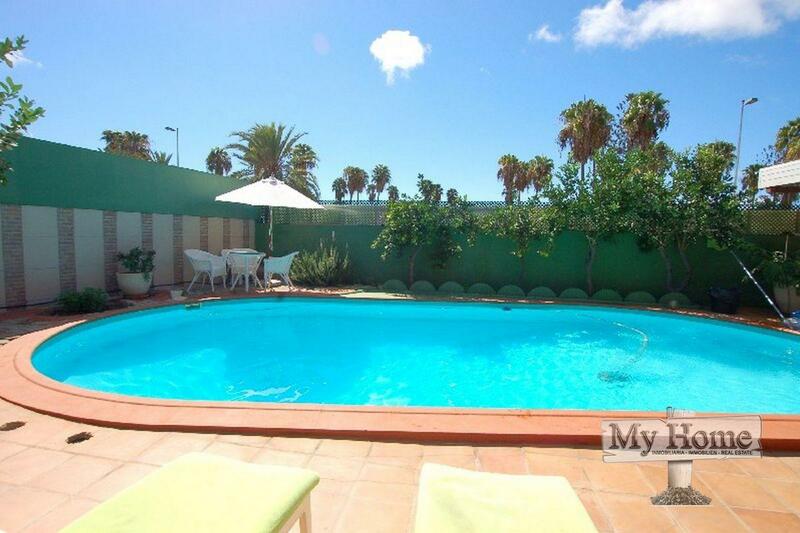 The property have a private pool, garden, terrace, roof terrace with sea views and parking for three cars.